Four wins out of four certainly makes the baseball world seem a better place. 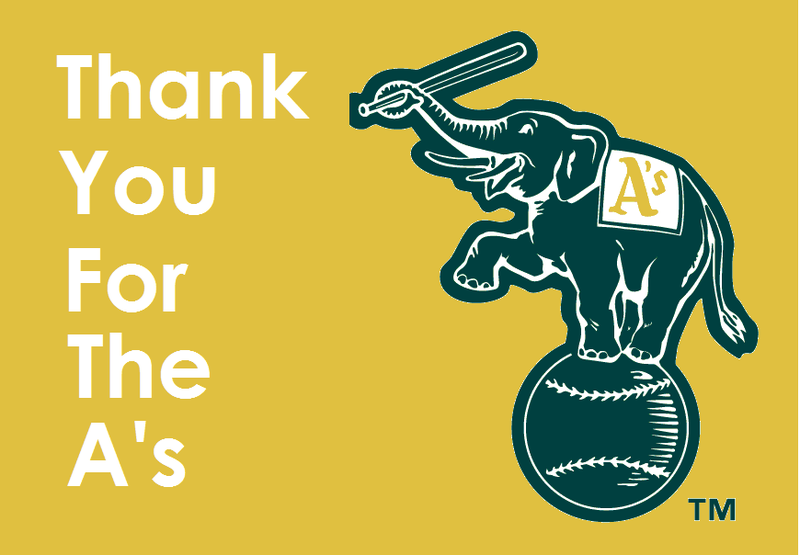 The Oakland A’s have turned on the style this week, buoyed by being at home in a city that the team looks set to call home for years to come. The A’s marketing slogan this year, ‘Rooted in Oakland’, is a clear message of intent while the other sport teams in the area (Golden State Warriors in the NBA, and the Oakland Raiders in the NFL) get ready to move away in the next few years. It’s not as though the A’s have been immune from the attraction of relocation, as the dalliances with Fremont and San Jose over the past 10 years prove, but through design or default it is they who are the last team standing. This year has seen a complete change of tone from the club thanks to the arrival of new President Dave Kaval. He has made it his mission to be accessible and open with the fans and whilst undoubtedly there is a ‘good PR’ business aspect behind this, there still seems to be a genuine intent to reconnect with the fans after strained relations in recent years. Kaval joined the A’s broadcasting crew during Friday night’s game against the Seattle Mariners to confirm that the team will announce the chosen site for the new ballpark this year, so there’s every reason to be happy as an Oakland fan and the team have even managed to put together a winning streak to enjoy. Two wins against the Texas Rangers and then two more against the Seattle Mariners have put the team on a 9-8 record. The second win against Texas was the series finale on Wednesday and a day-game to enjoy during the British evening. The A’s jumped on Texas’ starting pitcher Martin Perez by scoring four runs in the first inning on their way to a comfortable 9-1 victory. Khris Davis continued his home-run-hitting ways and once again spoke about his connection with the team and city, something you don’t hear much of from A’s players. “I like coming to this ballpark,” Davis said. “It’s a grungy stadium, but I don’t need the fancy art, high-tech stadium to perform. I just go out there and play”. You’ll find most comments about Oakland (either the current ballpark or the city in general) have a certain back-handed compliment feel to them and it often seems like the A’s almost treat that as a badge of honour. Still, I expect players and fans alike will quite enjoy a “fancy art, high-tech stadium” once we finally have one. After the two wins against Texas to take that series 2-1, the A’s began a four-game series against the Seattle Mariners on Thursday night. The big story in the opener was Cesar Valdez getting the start for Oakland. If your reaction to that name is ‘who?’ you’d be saying the same word as most A’s fans when it became clear he would make the spot-start in place of injured Kendall Graveman (the A’s nominal ace in place of the injured Sonny Gray). Valdez is no rookie, he’s 32 years old and prior to Thursday his last Major League start came in June 2010. His Big League return didn’t last long, he pitched four innings and was optioned back to the Minors after the game, but he did all you could ask of him by keeping the team in the game and it’s a great story for him to have made it back to the big-time at all. The final two games of the series on Saturday and Sunday are both 21.05 BST starts, which will be particularly welcome as the A’s next series in Anaheim is the first of the season so far in which none of the contests are day-games. Marcus Semien won’t be involved as the only real blow from the week has been him heading to the DL, likely for a couple of months, due to a wrist injury. There were no dirt-bikes involved though, so that’s something. And it’s all been downhill from there Matt, 4-losses on the trot. I’ve been availing myself of MLBTV and have watched every game bar two I think. Can’t seem to score recently though. Last night though was the amazing 1-unassisted double play by Gravemann. The last A’s pitcher to do that was in 1971. I can’t find any records of how many pitchers have done that play, but Ray Fosse for one, and several other commentators on Twitter have said they’ve never seen the play ever. In fact, they didn’t know how to score it. Yes, not a good week and ending by losing the series against the Astros. Sonny Gray’s back on Tuesday though so there’s a small bright spot there. As for unassisted double-plays by pitchers, I’ve not been unable to uncover any ready-made stats around that. It could be researched from the Retrosheet data, I suspect, but would need a good bit of work to get to the results!